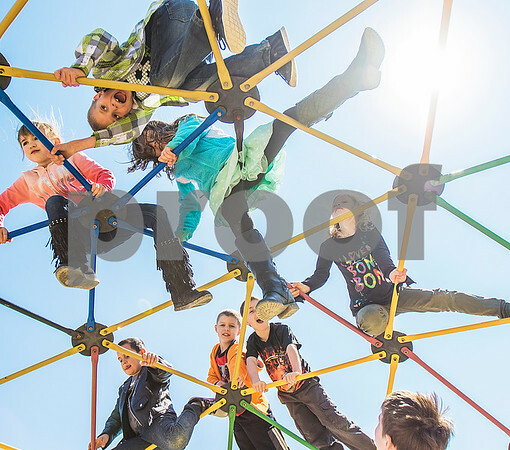 Students from Hiawatha Elementary climb a jungle gym at recess in Kirkland on Thursday, April 14, 2016. Hiawatha Dist. 424 is the only school district in DeKalb County scheduled to lose state money next year. The school district serves Kirkland and Fairdale and is set to receive $35,201 less from Illinois.